The Ilyas and Mustafa Galadari Group is proud to announce that they have awarded the monorail contract for City of Arabia, Dubailand, Dubai, UAE to Metrail AG of Switzerland. The Metrail system was chosen because it not only has lower capital costs, but also the recurring operational costs are about 10% of those offered by the five other well established multinational bidders. “Metrail is delighted to have been selected by City of Arabia to supply its innovative hybrid monorail system to this prestigious project. 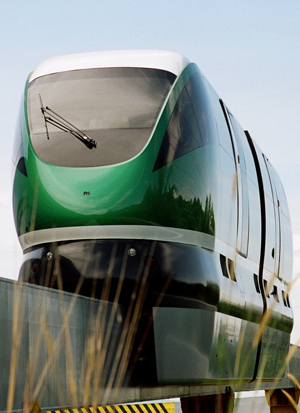 Our monorail technology has evolved from over twenty years of electric and hybrid electric research and development. Carbon Credits are a new concept devised by public and private entities. It involves a company which can make greenhouse gas emission reductions for a relatively low cost selling the rights to those reductions, or carbon credits, to an organisation which would find it more expensive to achieve the same level of reduction through in-house activities.